IN THIS GUIDE: Survival training, combat strategies, quest walkthroughs, West Virginia atlas, building and crafting guides, and complete multiplayer coverage. 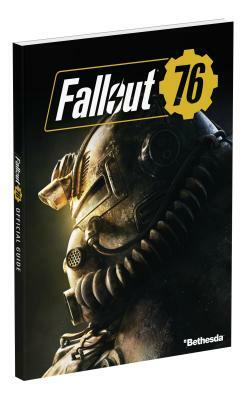 Emerge from Vault 76 ready to thrive— solo or with friends—with the official guide to Fallout 76. It’s the ultimate reference for creating your character, teaming up with allies, defeating enemies, building, crafting, and exploring the wastes of West Virginia! Surviving Aboveground: Detailed training, character creation guidance, and combat strategies help prepare you to embark on your adventure. Quest Walkthroughs: Quest breakdowns and helpful guidance through your journey, from your first steps outside the vault to collecting the last nuclear code! Post-Apocalyptic Atlas: Enhance your exploration with fully labeled maps and detailed information on every wasteland location. Building and Crafting: Learn how create shelter and necessary supplies with the new Construction and Assembly Mobile Platform. Multiplayer: Journey together with fellow Vault Dwellers for the first time! Make teamwork work for you with effective strategies for assembling your crew. Originally hailing from the United Kingdom, David Hodgson left his role as a writer of numerous British video game magazines (including Mean Machines, Computer & Video Games, and the Official Nintendo and Sega Saturn magazines) and a bohemian lifestyle on a dry-docked German fishing trawler to work on the infamous GameFan magazine in 1996. David helped to launch the fledgling GameFan Books and helped form Gamers' Republic in 1998, authoring many strategy guides for Millennium Publications, including The Official Metal Gear Solid Mission Handbook. After launching the wildly unsuccessful Incite Video Gaming and Gamers.com, David found his calling, and began authoring guides for Prima Games. He has written more than 30 Prima strategy guides, including The Godfather: The Game, Knights of the Old Republic, Perfect Dark Zero, Half-Life 2, and Burnout Revenge. He lives in the Pacific Northwest with his wife, Melanie, and an eight-foot statue of the great Cthulhu. Garitt Rocha is a freelance writer at Prima Games. He is the coauthor of Mario Kart 8 Deluxe, Playing with Power: Nintendo NES Classics, and Hyrule Warriors Legends Collector's Edition: Prima Official Guide.